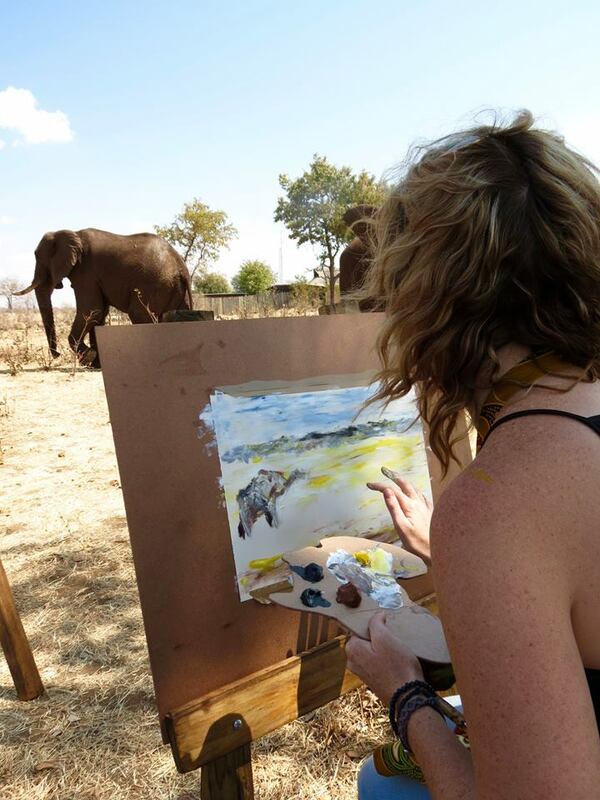 We recently had the pleasure of attending a brand new Victoria Falls activity - the new Art of Africa workshop at The Wallow. The Elephant Wallow is where the Wild Horizons elephants are kept, and elephant interactions are conducted. The activity started with being collected at 11h30 and after being transferred in a luxury bus from town, we arrived at the Elephant Wallow on the Wild Horizons Private Game Reserve. We were met by friendly faces with welcome drinks and given a short introduction to the Wallow and the elephant program they run from there with their orphaned elephants.